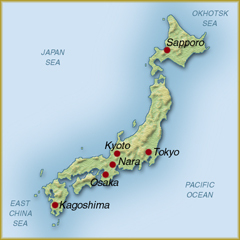 This is a map of Japan. We first plan to move to the pennisula south of Tokyo. This is area is called Chiba.